Today I want to write about a massive fish that even eats sharks, the giant grouper. Also known as the Queensland grouper, they are the largest reef-dwelling fish in the world, growing up to 3.65 metres long and weighing up to 400 kg. They are very slow swimmers, so they rely on ambushing tactics to catch their prey. They eat lobsters, crabs, fish and even small sharks and young sea turtles, using their massive mouths to eat their prey whole. They live in small groups, with one male and a harem of females. One of the weirdest facts about the giant grouper is if the male dies, one of the females is able to turn into a male and take over the harem. Young giant groupers are yellow with black markings, but their colour changes to a duller green-grey or brown when they get older. They can live for up to 50 years which is very old for a fish. They have a wide range, living in reefs throughout the Indian and Pacific oceans, but they are considered vulnerable to extinction due to over-fishing. 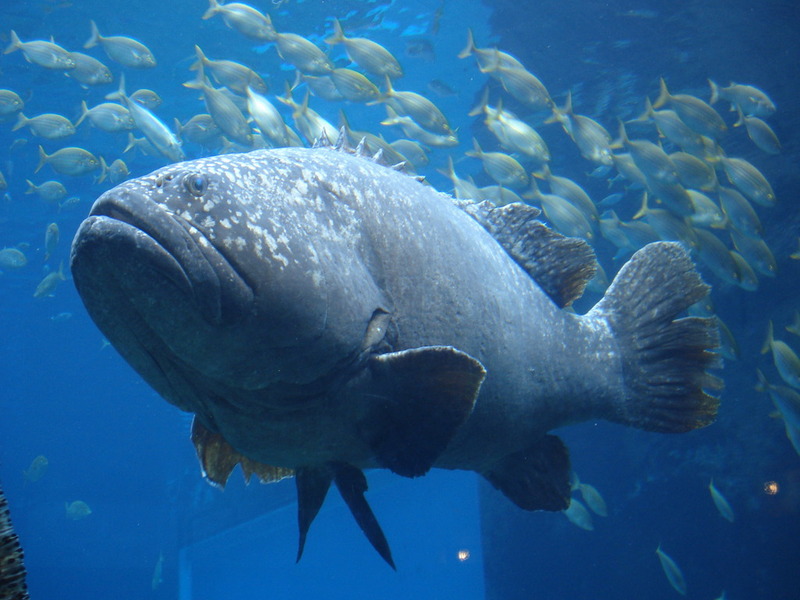 Are there any other interesting facts that you would like to share about giant groupers? Such a cool read. Thanks for sharing.